Inspired by the Kenzo Women's Spring 2016 Runway Collection at Paris Fashion Week this super cool Kenzo Girls Mini Me Diagonal Retro Stripes Skirt & Girls White Jewelry Sweatshirt. 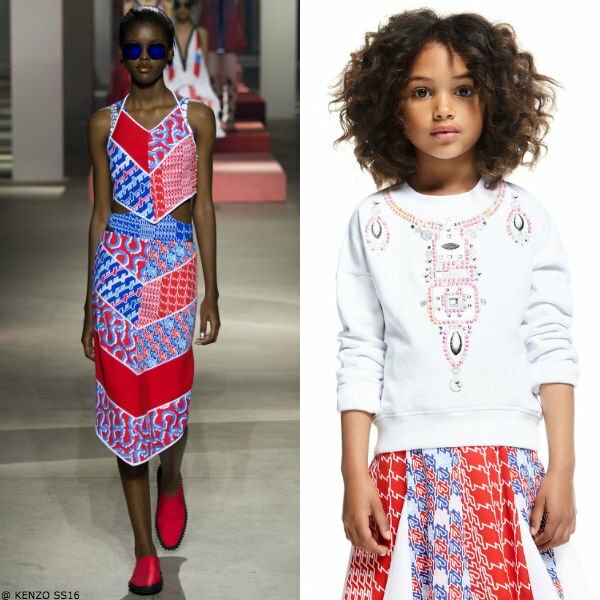 Designed by the famous Kenzo duo Carol Lim and Humberto Leon, this KENZO Girls Red & Blue Retro Patterned Crêpe Skirt features pretty flares with white pleats, giving movement and swing. 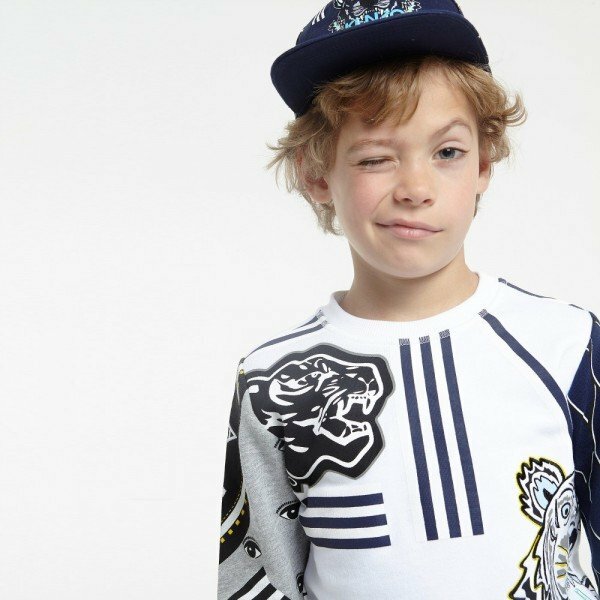 Looks great with this KENZO Girls White Jewelry Sweatshirt with a printed and embroidered necklace design down the front and sparkly metallic threads add a touch of shimmer to the embroidery. Complete the look with a pair of KENZO Girls Pink Slip-On 'Billie' Canvas Shoes. Super cool look to celebrate any event this Summer including the 4th of July or Bastille Day!